I’ve had a few friends on Facebook share an article recently (Cleaning products as bad for lungs as smoking 20 cigarettes a day) about a new study linking long-term exposure to household cleaning products with reduced lung function. This is a new study done over the course of years, but as a holistic health & wellness coach, I’ve been well aware of these harmful and negative effects! I also have an even better personal illustration that took place over days, not years. When I was single and living in NYC in the East Village, I had a 1-bedroom apartment that overlooked 1st Avenue in the East Village. It was an older tenement-style building, and I tried my best to take care of it. But something interesting happened every time I would clean my apartment. I got sick. But not like a little sick. Like seriously sick. My asthma would act up and I got bronchitis… every. single. time. I used a ‘green’ cleaner…. it literally was the color green, but also said ‘green’ and ‘natural’ on the side of the spray bottle. I bought it at one of the local chain grocery stores… Gristedes, Key Foods or A & P, probably. This was before I was a board certified health coach, before I was a mother, and before I did much research into non-toxic cleaning and beauty products. Because it wasn’t the first thought that popped into my head, it took me a few times of this craziness to catch on. Once I did, I switched to vinegar, water and lemon essential oil and didn’t get sick! Now, with so much more knowledge and awareness of the interplay between environmental toxins and our health & wellbeing, I’m very conscious of my beauty care products, cleaning products, food choices, clothing choices and more. So, when my dear friend (and coincidentally, my former upstairs neighbor from that 1st ave apartment!) shared this article on social media, I thought it would be a great thing to share with you all. Because I am living proof that this (or something ‘like’ this) is completely accurate. The EWG (Environmental Working Group) has an amazing free database of Cleaning products and their safety ratings. 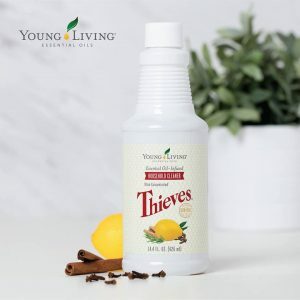 I exclusively use Young Living‘s Thieves cleaner in my home, with great results! 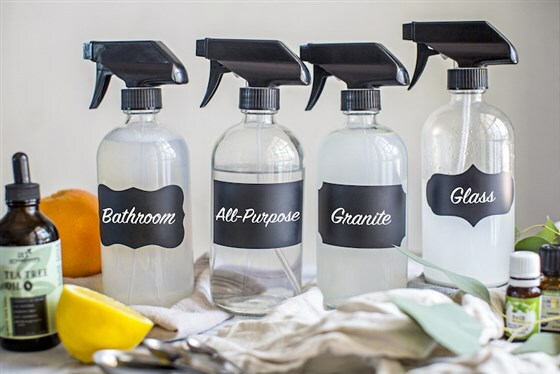 It’s non-toxic but effective, and I use it on glass, counters, floors, bathroom, kitchen, you name it! I even use it on my kids TOYS! I also LOVE having ONE… yes ONE bottle of cleaner to clean everything! No cabinet full of products! It’s also non-toxic and safe for my baby and toddler to be around! WIN/WIN! If you want to learn more about Young Living, and why I use their essential oils and cleaning products exclusively, please check out this page, or drop me a line! If you want to purchase a bottle, just visit that page and follow the instructions for “retail” :)! You can also use water, white vinegar and Thieves and lemon essential oils for a totally natural DIY solution too. 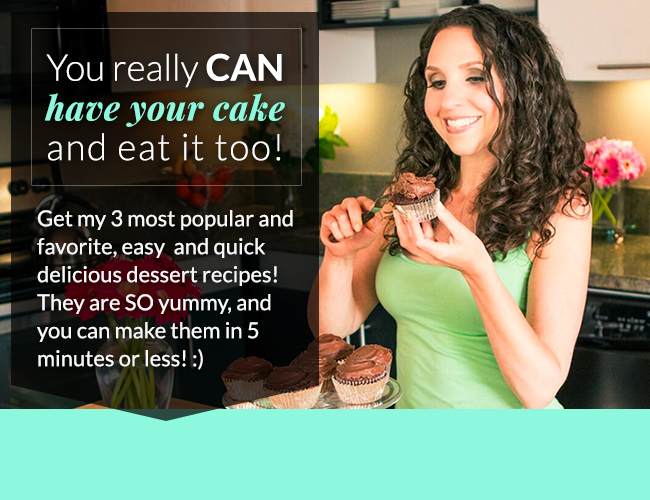 Read on for my recipe! Vinegar is a super common DIY cleaner, but it’s not perfect. The scent can be a little off-putting, which the Lemon essential oil in this recipe helps mask. It’s also not a disinfectant nor is it ideal for every surface (but it’s a good safe place to start). 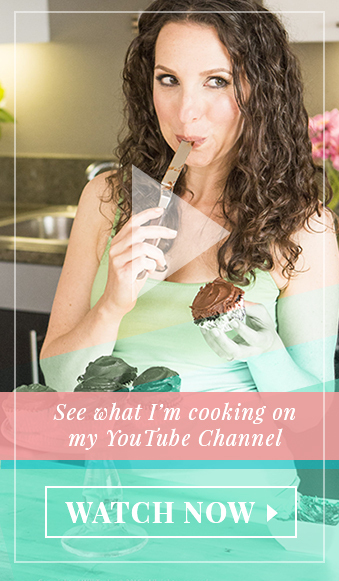 I added Thieves to this recipe since it has strong antiseptic, antifungal, and antibacterial properties!